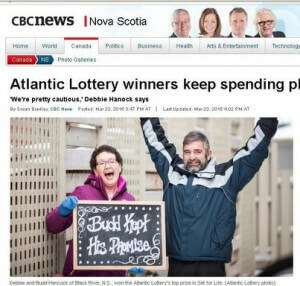 But last week Hancock finally made good on his word – he bagged the top prize of $1,000 a week for 25 years or $675,000 lump sum from Atlantic City Lottery’s Set For Life scratch game. Hancock chose to receive the prize as a lump sum and looks forward to retiring from his job after two weeks’ notice. The intend to live on the same home but plans to buy a 4-wheeler, and a vacuum.